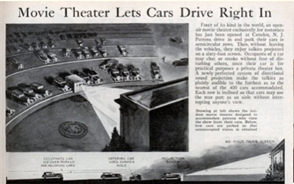 The Pike Drive-In was a single screen theater built in 1954 with one of the largest car capacities in the country. In 1991, after a storm, the main screen was replaced and a second screen was added. In 1996, a third screen was added. The Pike closed for one season in 2001 and reopened in 2002. To learn more about our company, come check out our website and see what is showing now. 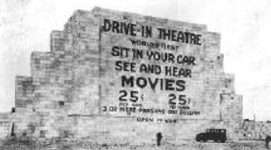 The first drive-in theater was invented by Richard M. Hollingshead, who worked out the details of designing a driving-in theater by mounting a 1928 Kodak projector on the hood of his car and hanging a sheet for a screen in his backyard in New Jersey. Richard place a radio behind the screen for sound, then started to test his idea. One main problem that became apparent was that with cars parked behind each other, the cars at the rear would not be able to see the whole picture, due to the car in front of it. Richard lined up cars in his driveway spacing them at various distances and placing blocks under their front wheel he was able to find the correct spacing and the correct angles to build ramps for the car’s front tires to park on. Shortly afterwards, Hollingshead was granted a patent on the design. 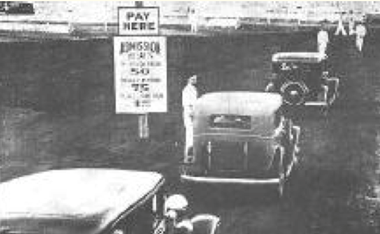 Hollingshead opened his first drive-in theater June 6, 1933, on Admiral Wilson Boulevard at the Airport Circle in Pennsauken NJ, a short distance from Cooper River Park. It offered 500 slots and a 40 by 50 ft. screen. He advertised his drive-in theater with the slogan, “The whole family is welcome, regardless of how noisy the children are”. The first film shown was “Wife Beware”. The facility only operated three years, but during that time the concept caught on in other states, and later parts of the world. 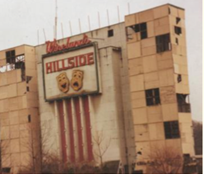 The Pike Drive In Theatre opened in 1953 during the “golden age” of the drive in. 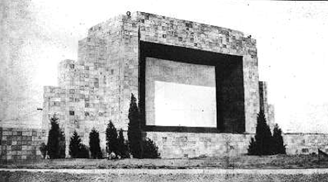 Built as a single screen theatre, it was expanded to a 3 screen in the 1990’s. 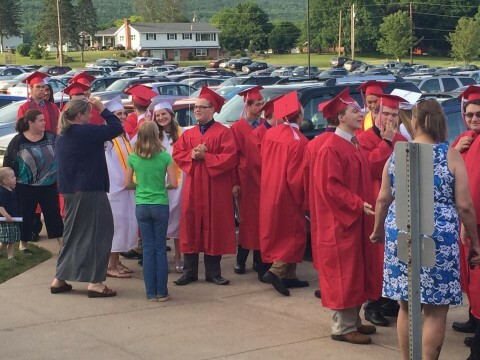 It is the last open ozoner in the county. Current ownership purchased the business in 2006, and over the past 11 years, they have made numerous improvements to this drive in theatre. Although the owner lives over a hundred and fifty miles away from the drive in, it is a labor of love, and he is on site every weekend to make sure that the patrons of the Pike enjoy a great night of movies under the stars.